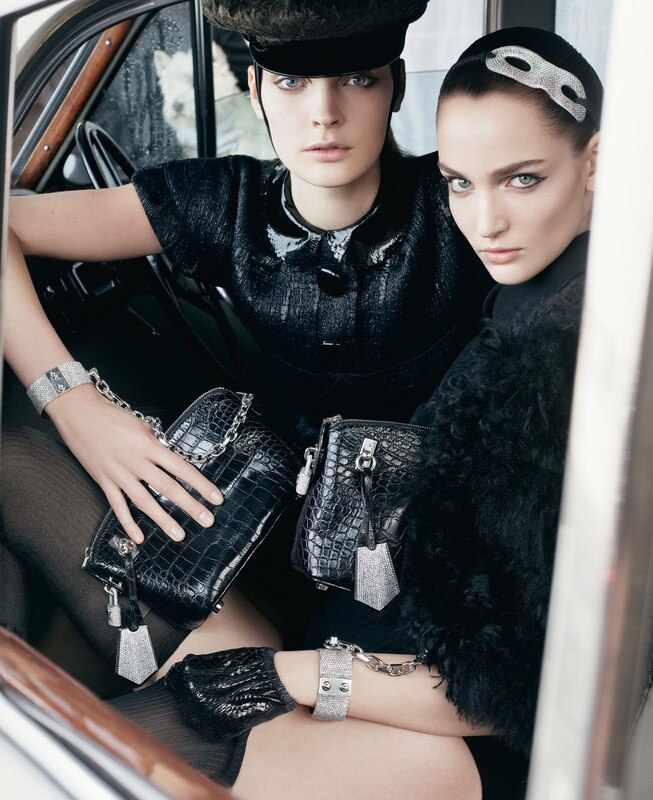 I’ve fallen in love with the Louis Vuitton Autumn/Winter 2011 campaign. The images ooze so much lavish opulence that it’s practically seeping out of these images. The campaign features 6 up and coming models which is a bit of a surprise as LV can usually be relied upon for a mega supermodel line up. The 6 models are joined by 7 pairs of Pedigree pups and 5 beautiful vintage cars for a typically striking and sophisticated campaign with a fresher edge. I love how the rich textures of the collection contrast to the shiny paintwork and wood of the cars and of course that the iconic Lockit handbags were used.